Individual items plus cauliflower, rainbow chard, spinach, and additional carrots and sweet potatoes. Sweet potatoes, red cabbage, carrots, heirloom tomato, yellow onions, broccoli, and mini romaine or red leaf lettuce. All the individual items with extra carrots, potatoes, and spinach plus a cabbage, broccoli crown, and arugula. 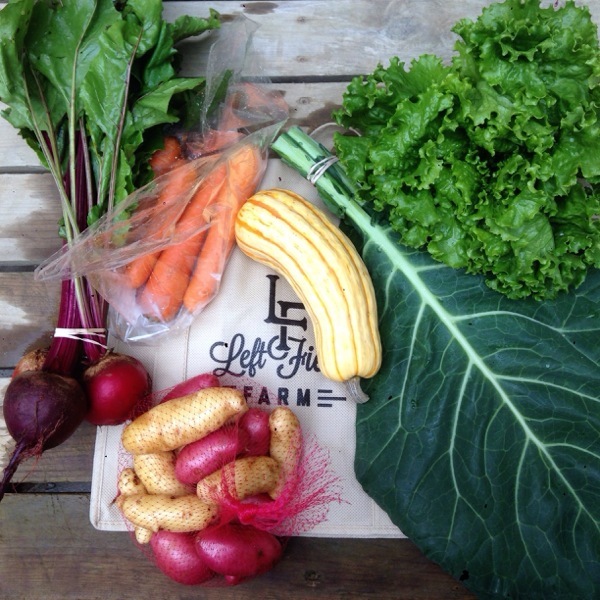 Fingerling potatoes, red Russian kale, red butter lettuce, carrots, a sweet onion, spinach, watermelon radish, mini hubbard squash and a head of garlic. Buttercup squash, fingerling potatoes, carrots, beets, green and red leaf lettuce, Beira kale, spinach, a couple red onions, and a tomato. Delicata squash, fingerling potatoes, collard greens, carrots, green leaf lettuce, beets, and a red onion (hiding under the collards). Individual share items plus red leaf lettuce, a bell pepper, broccoli and additional carrots and potatoes. 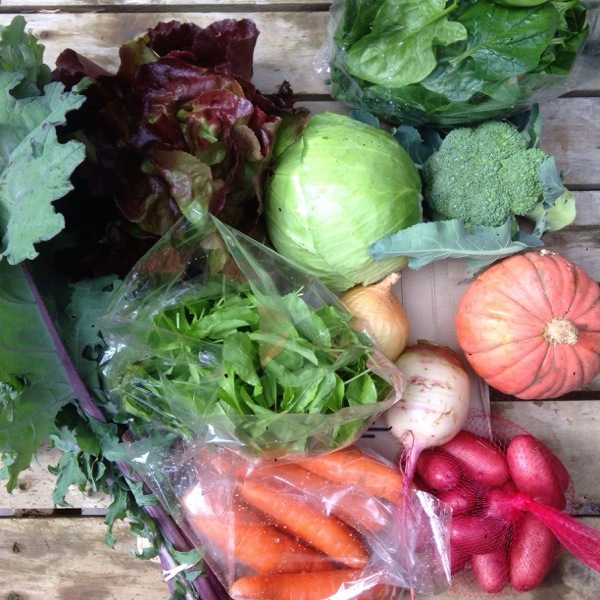 Leeks, potatoes, rainbow chard, tri-colored carrots, a tomato, cucumber, and cabbage. 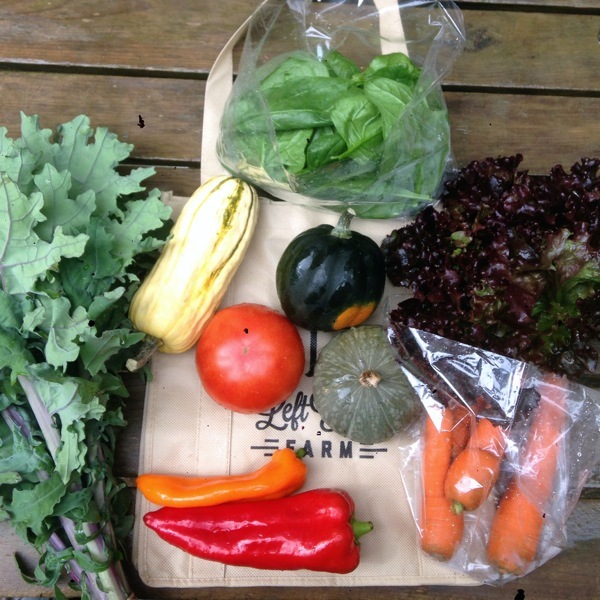 The individual items with more carrots, tomatoes, peppers, spinach and a large red leaf lettuce; the heftier of the squash; fingerling potatoes, and radishes. Spinach, carrots, mini red-leaf lettuce, a tomato, sweet peppers, red Russian kale, and 3 winter squash - delicata, acorn, and kabocha.